Personal Umbrella insurance policies provide protection in the event of the proverbial "rainy day." Personal Umbrella insurance policies provide protection in the event of the proverbial "rainy day." The Personal Umbrella gives your client a considerable amount of added coverage without a great deal of additional cost. Every personal lines client should be offered this protection. Umbrellas respond when the underlying home and auto policy limits are exhausted. They can also plug holes in coverage. 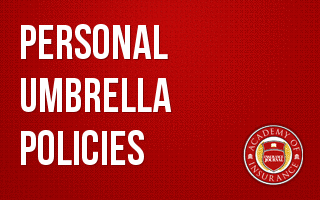 This course will examine the Umbrella policy in detail.